Author : Gary Carmen Aquino. Q: Why Did I Choose Non-Surgical Hair-Replacement vs Surgical Hair Transplants To Address My Hairloss Condition BEFORE I Entered The Non-Surgical Hair-Replacement Industry? A: OPTIONS ! I Wanted To Be ” In-Control Of The Present & Future Appearance Of My Hair & Scalp.” Let Me Explain Further. I Started Losing My hair In My Teens And By Age Twenty Was Utilizing A Non-Surgical Hair-System. It Was 1970 And Non-Surgical Hair-Replacement & Surgical Hair Transplants Were Not Anywhere As Advanced As Today In 2015. I’ve Learned Since That Quality Human Hair Vs Synthetic Fiber Is The Way To Have The Most Natural Looking & Performing Non-Surgical Hair-System. Fast Forward To 1976 When I Entered The Non-Surgical Hair Replacement Industry As A Design Consultant To Today… 2015 As Founder & Lead Designer At Hair Of The Arts in Austin Texas. After “40-Years” Of Being In The Non-Surgical Hair-Replacement Industry I’ve Learned That There Are Truly Good & Bad Candidates For Both Non-Surgical Hair-Replacement & Surgical Hair Transplants. I Believe So Strongly In Non-Surgical Hair-Replacement For Myself & The Majority Of Hairloss Clients … Because Of The Many “Options & Safe Guards” It Offers. Unlike Surgical Hair-Transplants , Non-Surgical Hair-Replacement Is : Reversible ; Non-Scaring ; Hair-Densities/Lengths , Hairline Recessions , Color(s) & Texture… The Over All Look … Can Be Changed At Will. Anytime In The Future The Non-Surgical Process Can Be Removed & The Scalp Can Be Shaved Smooth (Without Any Dimpling Or Scarring Showing On The Scalp Or Nape Area) Which Can Look Fashionable For Many People. The Best Candidates For Non-Surgical Hair-Replacement Are : Individuals That Have More Extensive Hairloss … A ” 3 -7 ” On The Norwood Chart And Like Myself ” Want To Exercise & Control ALL Their Scalp Appearance Options Now & Into The Future.” I’ve Designed Perfectly Natural Looking Non-Surgical Hair-Systems On Clients With As Little As 1″-1 1/2″ Of Fringe Hair Left ! I’m Gary Aquino , Designer And Founder Of HAIR OF THE ARTS in Austin,Texas Since 1982. I Was Also An Owner Of Apollo Hair-Systems in Texas Before Opening Hair Of The Arts. 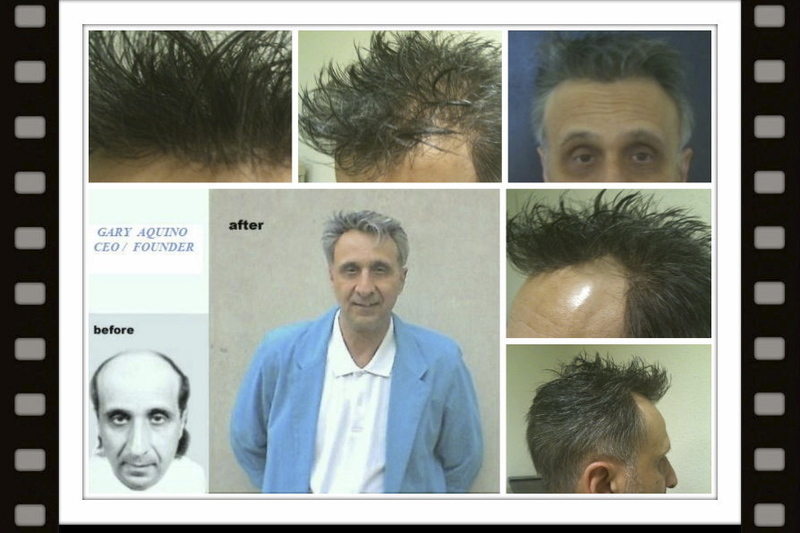 I Have Over “40” Years Non-Surgical Hair-System Design Experience, Over “45” Years as a Hair-Replacement Client And Over “36” Years As A Non-Surgical Hair-Replacement Studio Owner.